Originally, Final Fantasy 15 director Hajime Tabata said he wanted to add at least three more add-ons in 2018. That was the plan. Now Tabata is saying there are four more incoming and all the DLC might not come out this year. 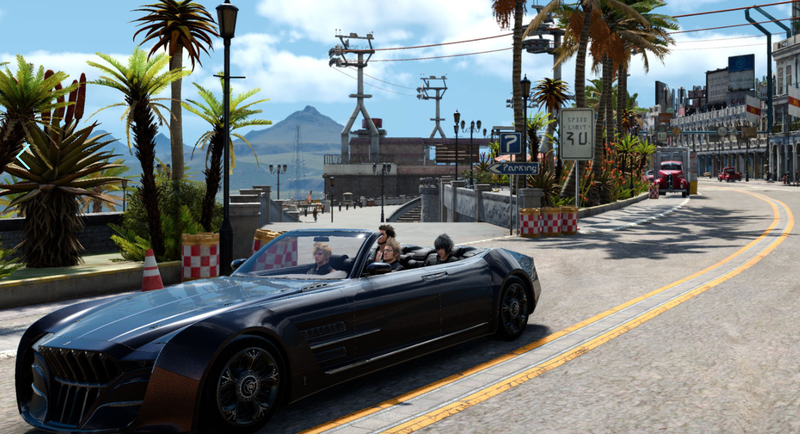 Tabata conceded that, yes, the original plan was 2018, but looking at the main game's player survey satisfaction rate of 62.4 per cent, Tabata thought more development time was necessary to finish up Final Fantasy 15. "Instead of fussing over 'during 2018,' it's necessary to ensure a reasonable development period," Tabata said. "We've decided to make four episodes through 2019," he told Famitsu in much more concrete terms in a separate interview. Final Fantasy 15 was originally released in 2016. It was announced in 2006 as Final Fantasy Versus 13. You can read Kotaku's Final Fantasy 15 review right here. Developers are so busy polishing all these turds! FFXV owns, this is polishing a bust of God's own face. Good for you for liking FFXV enough to play it into 2019 then! For me, it was an experience I only needed once. I’d prefer a new game being developed rather than a single player RPG being contrived into a monetised blob of DLC. You fail to realize that square enix is a huge studio and they ARE focusing development on new games. The team working in the dlc now would be very small. Besides, I’m glad that they’re taking player feedback and working to improve it rather than just leaving it as an experience people don’t like. Yeah, friendo. I get that. And I said I’d rather play a new game. I played FFXV already. Don’t need to do it again. Do I need sock puppets to make this work for you? think you misread the roman numerals. this is about XV not XIV (version one). It's pretty amazing to see this level of on-going support for a single-player focused game. It's really a win-win, as it'll keep people with content, and keep people from trading the game in. I picked up the base game ages ago, but haven't had a chance to play much of it. Looking forward to getting around to it now I've finally finished Persona 5. It's a lose-lose for people like me, who hated FFXV and wished they were focussing all of their resources on XVI. Silver lining, the more content they put into this game, the more systems they'll revamp when the release XVI? Uh oh. I was thinking about getting the Royal Edition. Now it looks like I should wait for the Imperial Edition. Why are they continuing to work on this POS? Abandon it and make a decent game next time. Perphaps because people like the game and want square enix to continue to support the game? How anyone could like FFXV let alone continue to play it's DLC is something I'll never understand. Perhaps its because people in this world exists other than you? God forbid someone have a different opinion to you and like the game.